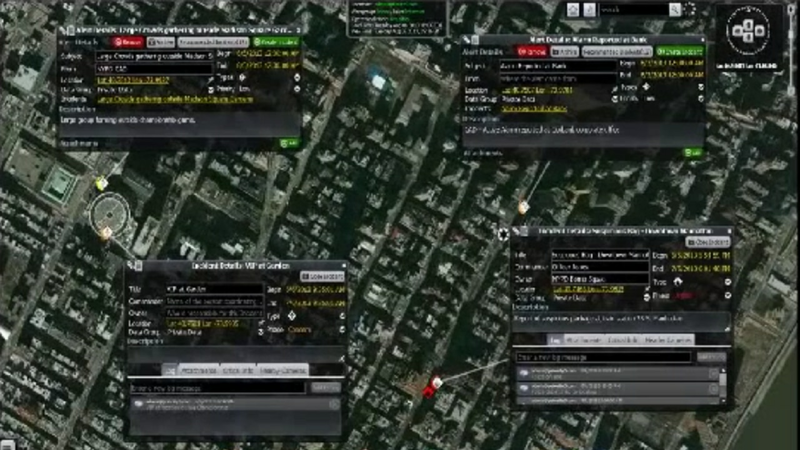 Integrate many data sources to create near real-time situational awareness. Share data and analysis among all users securely, based on roles and access level wherever they are located. Identify threats by tracking real-time information, detecting patterns and generating alerts. Social media feeds, situational reports and exports can supplement system and sensor data. Fuse details of current status with what-if consequence analysis and decision support functions. Plan ahead but also adjust responses in the moment to minimize loss and disruption. What-if mode helps simulate the impact of various crisis scenarios. Evaluate and plan responses and operating procedures ahead of time as well as react in real-time with more confidence. A real-time collaboration tool to create layers of markups on maps and share with others in command center or use mobile interface to share with field operators. SOPs enable emergency responders to coordinate incident responses across disciplines and jurisdictions--with predefined preparedness plans, regardless of how complex they are. Server requirements can be found at the link below.